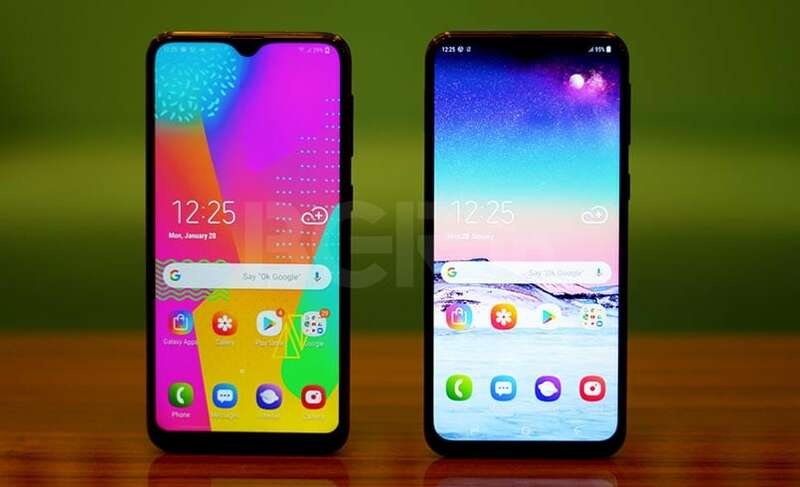 Samsung Galaxy M10 and Galaxy M20 come with big changes in budget segment. Here are our initial impressions. After much anticipation, the all-new Samsung Galaxy M lineup is now a reality. Samsung globally launched the Galaxy M10 and Galaxy M20 today starting with the online smartphone market in India. The new series will replace Samsung’s existing Galaxy On lineup of devices. 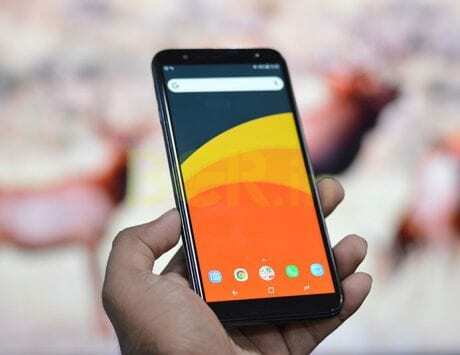 These two new devices are aimed at the budget segment to compete with popular online brands like Xiaomi, Honor, Realme and Asus. The Samsung Galaxy M10’s base 2GB RAM variant has been priced at Rs 7,990, while the 3GB RAM variant costs Rs 8,990. With these prices, it competes directly with Redmi 6 series from Xiaomi. Similarly, the Samsung Galaxy M20 3GB variant has been competitively priced at Rs 10,990. A segment where, smartphones from Honor, Xiaomi and Asus have been outselling the competition lately. The device also comes with 4GB RAM and 64GB storage, and it is priced at Rs 12,990. Both new Galaxy M10 and Galaxy M20 smartphones will be exclusively available on Amazon India and Samsung’s own online store from February 5. Here are our first impressions of the two new Galaxy M smartphones from Samsung. The big change for Samsung in M lineup is the all-new notch display, dubbed ‘Infinity-V’. 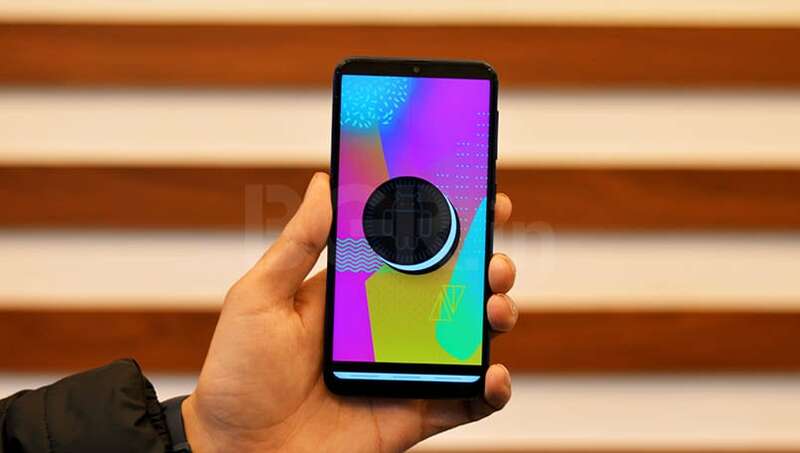 Samsung has used the Infinity-V display for the first time, which is similar to a waterdrop-style notch display we have seen in many smartphones like Oppo F9 Pro, OnePlus 6T, and Oppo R17 Pro to name a few. I have been using the smartphones from some time, and these are probably the best part about the both Galaxy M devices, especially considering the price. The Samsung Galaxy M20 comes with a true Full-HD+ 6.3-inch Infinity-V display, while the Galaxy M10 has a slightly smaller HD 6.2-inch HD+ Infinity-V display. Both Galaxy M20 and M10 come with Widevine L1 certification, which means you’ll be able to stream HD content via popular apps. To cater to millennials’ need for big batteries, the Samsung Galaxy M20 offers a massive 5,000mAh battery with a power management feature. Samsung claims that its multi-layered technology system ensures low power consumption on the M20. The device also supports 15W fast charging with USB Type-C, which according to Samsung will ensure 3X faster charging speed as compared to the normal charging. The Samsung Galaxy M10, on the other hand, uses a smaller 3,400mAh battery. This one comes with standard Micro-USB charging, unlike M20. As for photography, both the Galaxy M10 and M20 sport dual-rear camera setup with ultra-wide (120 degree) feature. 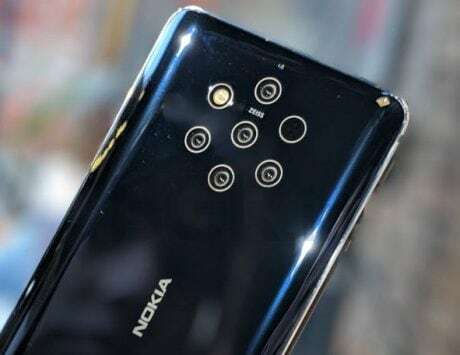 They also come with a 13-megapixel primary rear camera that has f/1.9 aperture, while the secondary camera is a 5-megapixel ultra-wide lens. 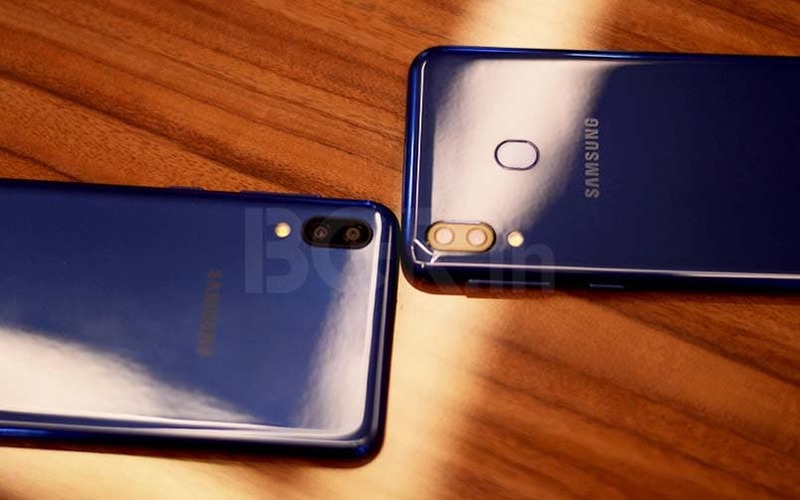 For selfies and video calling, Samsung has used 5-megapixel camera on the Galaxy M10, and an 8-megapixel selfie lens on the Galaxy M20. Internally, both Galaxy M10 and Galaxy M20 come with Samsung’s own Exynos chipsets. While Galaxy M10 includes an Exynos 7870 octa-core processor, the Galaxy M20 packs a newer Exynos 7904 octa-core SoC, which is more powerful, and should at least be sufficient like the Snapdragon 636. Samsung claims to have designed Exynos 7904 processor for low power consumption and smooth multitasking. The Galaxy M10 and M20 come in two different variants. The base variant for the M10 offers 2GB RAM with 16GB internal storage. In case you need extra storage, there is a triple-card slot for two SIM cards and a microSD card. When it comes to security, both phones feature Face Unlock feature, but only the Galaxy M20 offers the additional fingerprint sensor. With the Galaxy M10 and Galaxy M20, Samsung seems to have changed its strategy for good. In the short time with the devices, both definitely come across as a huge leap the recently launched Galaxy J4+ and Galaxy J6+ smartphones. While the major operating market for Samsung is still offline, the company appears to be shifting its focus towards competition from brands like Xiaomi, Honor, Realme, Asus and more in India. 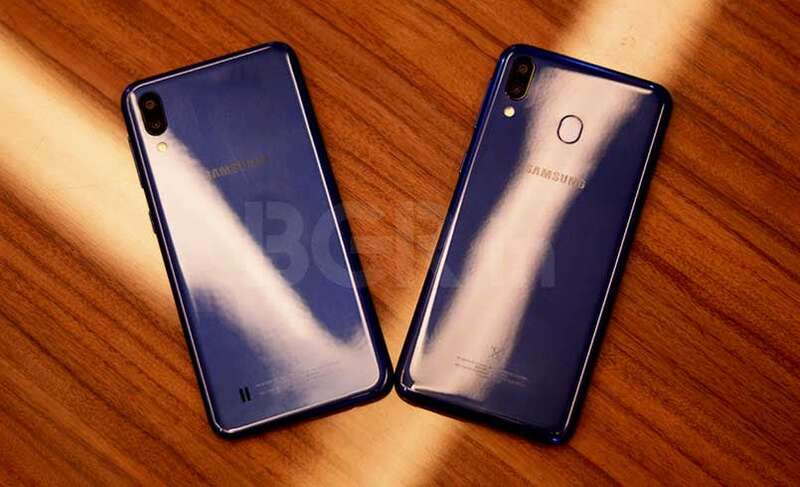 In my opinion, Samsung is on the right track with Galaxy M10 and the Galaxy M20. Both smartphones appear promising and should attract consumers in this price segment. 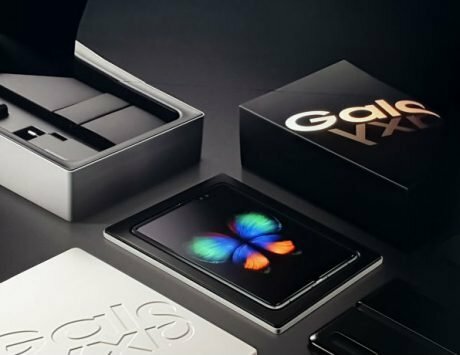 Samsung seems to have taken some serious feedback from its loyal consumer base, and when it comes to Galaxy M lineup, the company is now even trying to deliver.